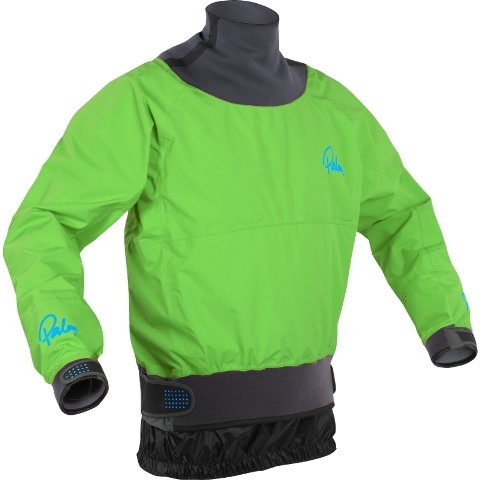 The Palm Vertigo has a simple neoprene neck gasket and twin waist making it an ideal first whitewater paddling jacket. 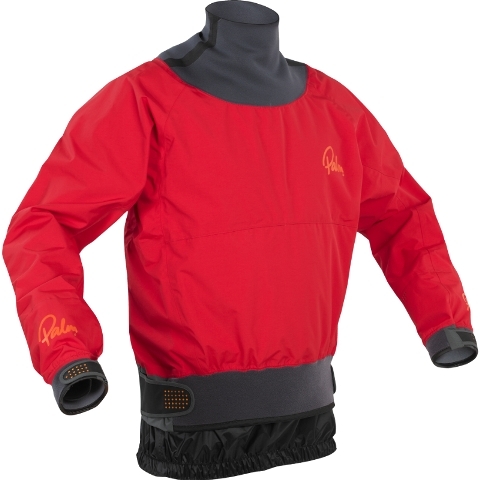 The Palm Vertigo is an entry level paddling jacket for those that are just starting out. The Vertigo jacket is an ideal first whitewater cag that will give you the protection and flexibility you need to get started. .The Vertigo is extremely good value for money and is made from a comfortable XP 2-layer fabric that is lightweight, waterproof and easy to pack away. This makes the Vertigo jacket suitable for canoeing as well as kayaking. The neck seal on the Palm Vertigo is a simple yet effective soft neoprene gasket, the jacket also features latex wrist gaskets with adjustable over cuffs and an adjustable velcro neoprene twin waist band. Overall the Palm Vertigo Cag looks great, feels great and performs great too. The Vertigo is a versatile product that’s perfect for beginners and pro’s alike and for both kayakers and canoeists too. Articulated sleeve design. No under arm seams. Twin waist system featuring asymmetric cut for improved fit and reduced bulk. Draw cord waist adjustment with gripper elastic to prevent ride up. Ultra soft neoprene neck seal. Latex wrist seals with adjustable outer cuff. Fabrics: XP 2 layer midweight fabric. Mini Rip Stop Nylon. We offer a delivery service for the Palm Vertigo throughout the UK & Ireland to home and work addresses. We will endeavour to despatch all orders for delivery on the next working day. Orders placed on a Friday will be dispatched the following week. Buy a Palm Vertigo online from our website and collect from our shop at Lee Mill, Plymouth, Devon or you can collect from any branch within the Canoe Shops Group. There is no cost associated with this.